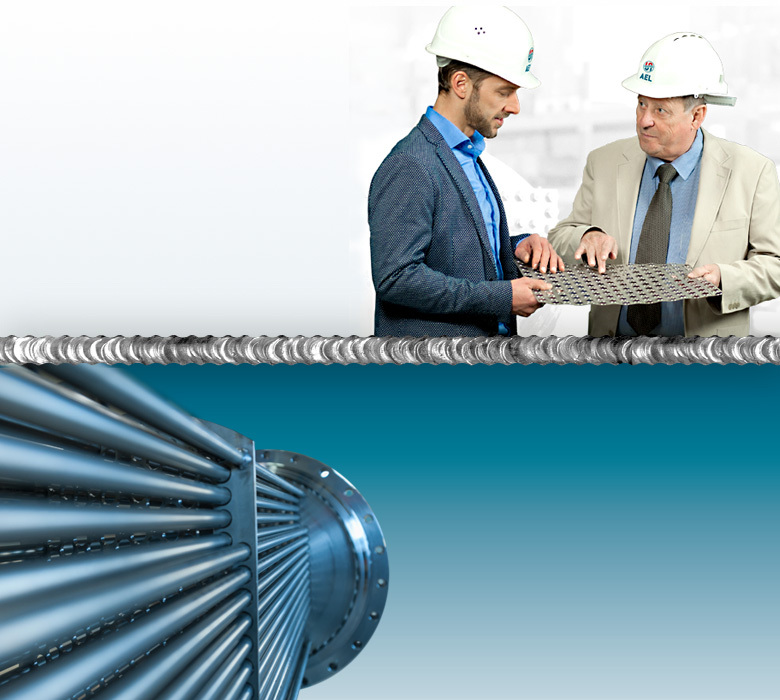 AEL provides heat exchanger, in which a falling film is produced, for a gentle evaporation of heat-sensitive liquids – large surface, low heat input. 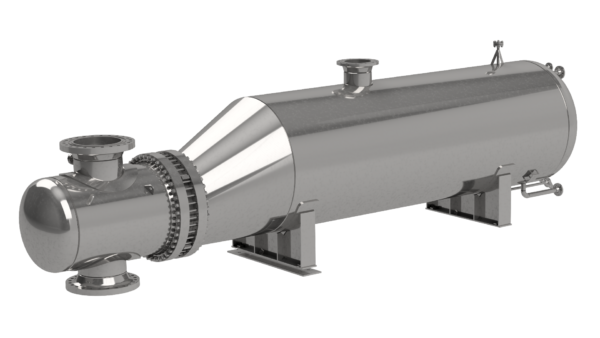 AEL provides heat exchanger, in which a heated tube bundle is immersed in a kettle. They are often used for hot steam generation from water. 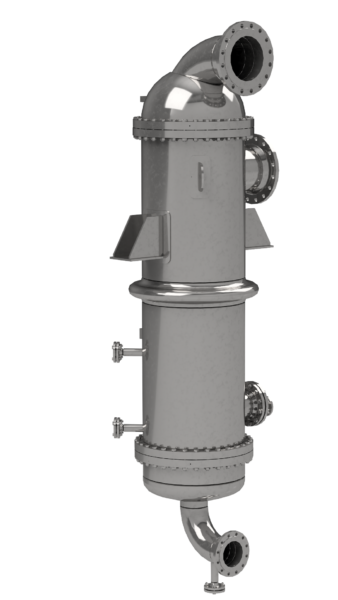 AEL provides heat exchanger for the generation of fluids concentrates by means of hot steam. 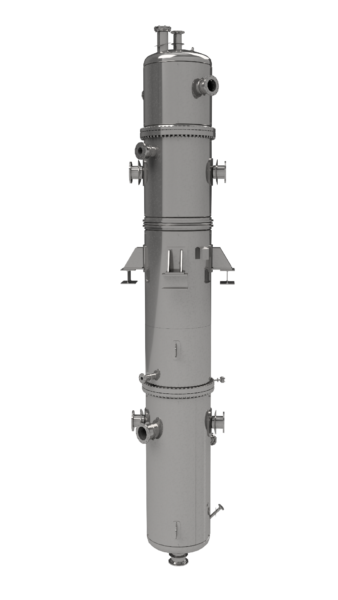 A convection process – this is either a natural convection or a convection forced by a pump – moves the liquid to be concentrated.